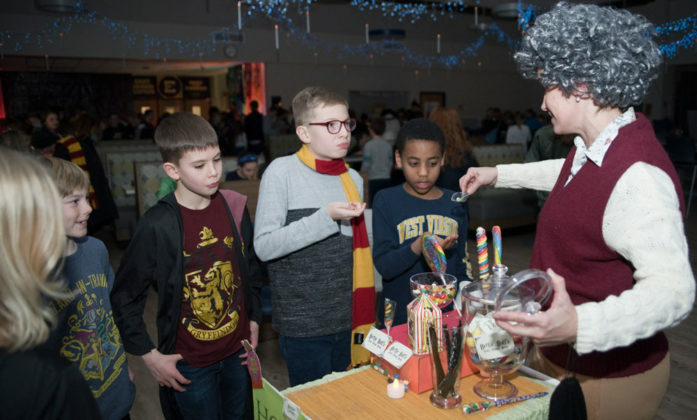 For one wintry Saturday night, the high school was transformed into Hogwarts, the magical school featured in the Harry Potter fantasy novels for kids by author J.K. Rowling. 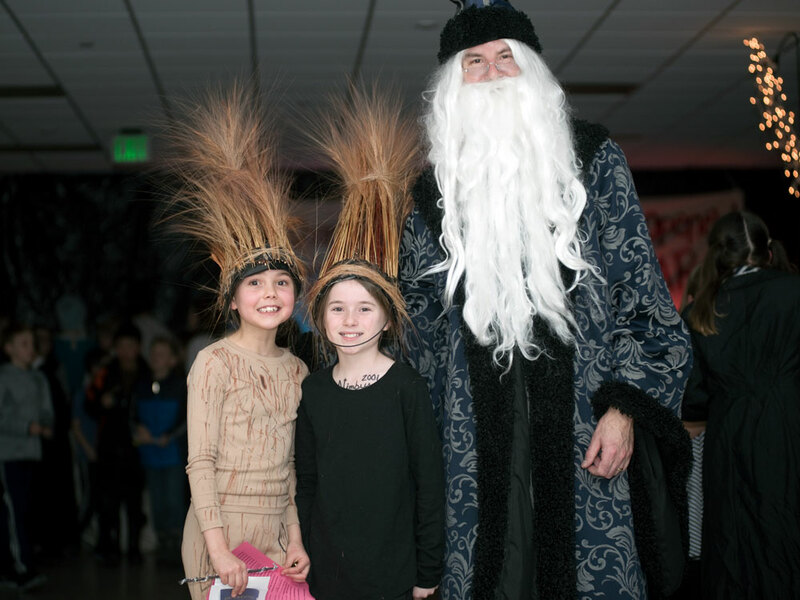 Roaming the darkened halls during the Sixth Annual Interscholastic Yule Ball were Professor Minerva McGonagall, Headmaster Albus Dumbledore, Bellatrix Lestrange and the fearsome Lord Voldemort. 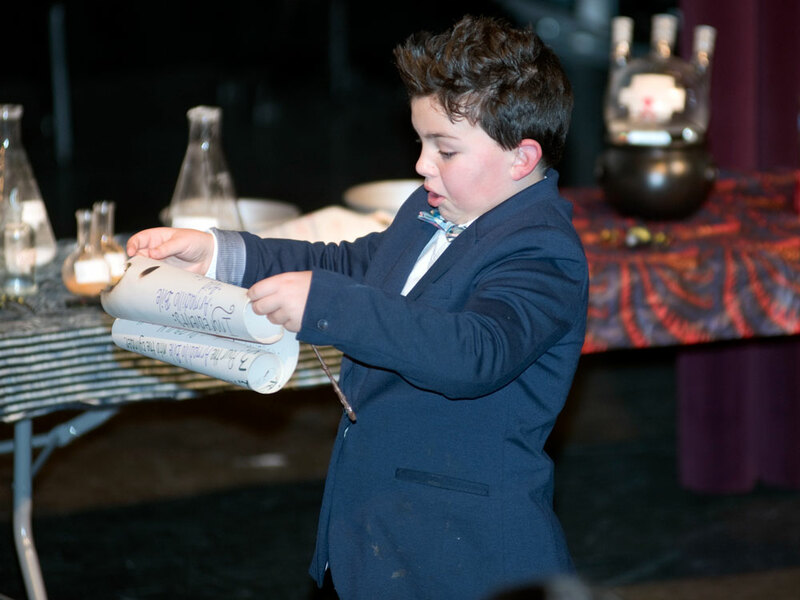 For Carly Conway, the Yule Ball was an opportunity for her and her fellow fourth-graders, Evie Parent and Meredith Sperling, to experience a divination session with Professor Trelawney. 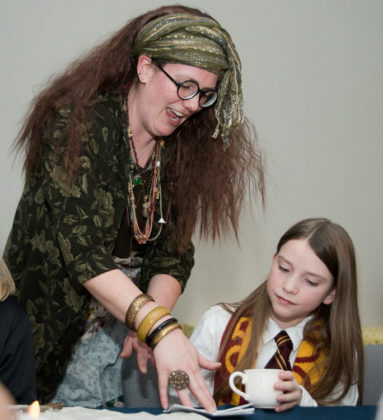 Seated at a long table, the girls were invited to sweep their hands over tea cups and learn their fortunes from the tea leaves at the bottom. 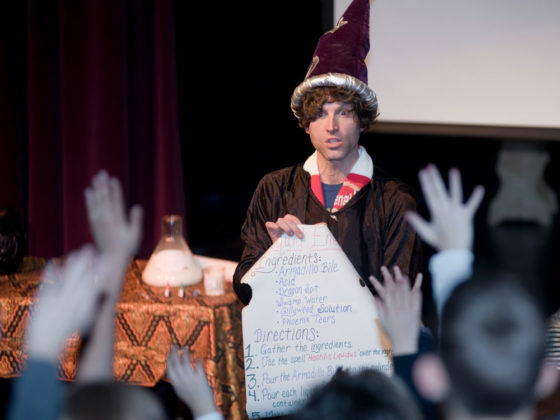 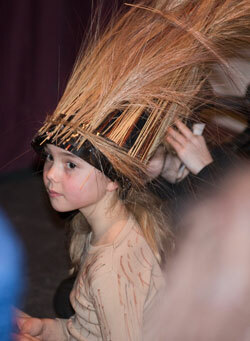 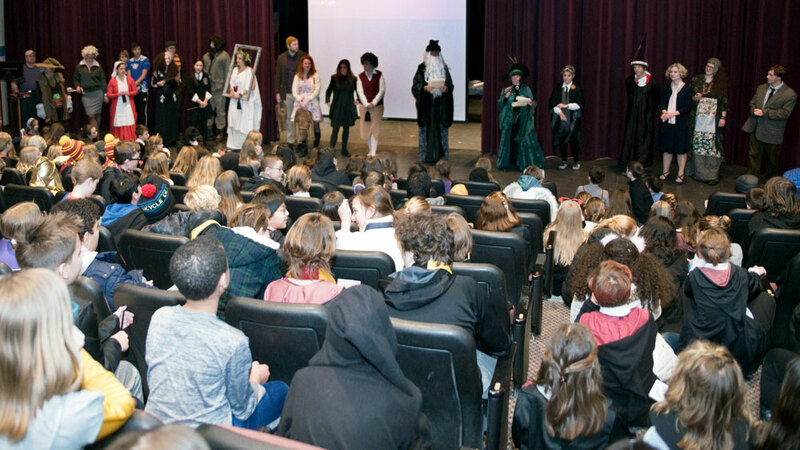 Elsewhere, some 300 EGR students in grades three to eight explored the fantasy world created for them by making quill pens, magical wands and sampling “Honeydukes” candies from the Trolley Witch. 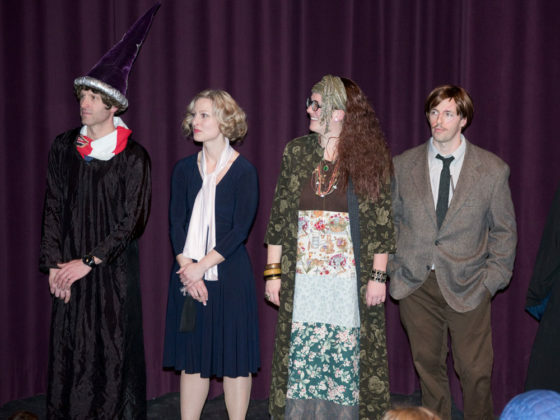 Costumed characters, who handed out “coins of the realm” for good behavior, were portrayed by some 45 parent volunteers and 25 district staffers. The kids also got the chance to play Quidditch, the favorite sport at Hogwarts, the fictional academy created by Rowling’s fantasy novels for kids. 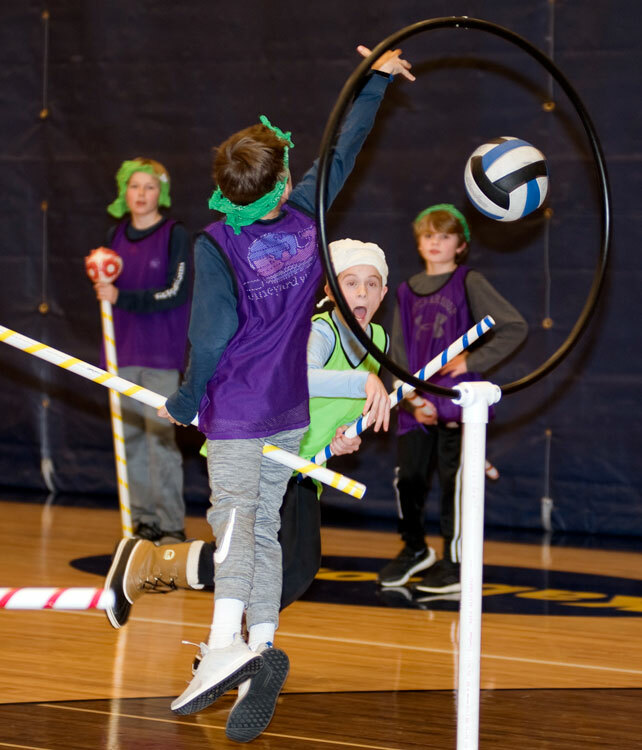 Matches were staged by Grand Valley State University’s own Quidditch team. 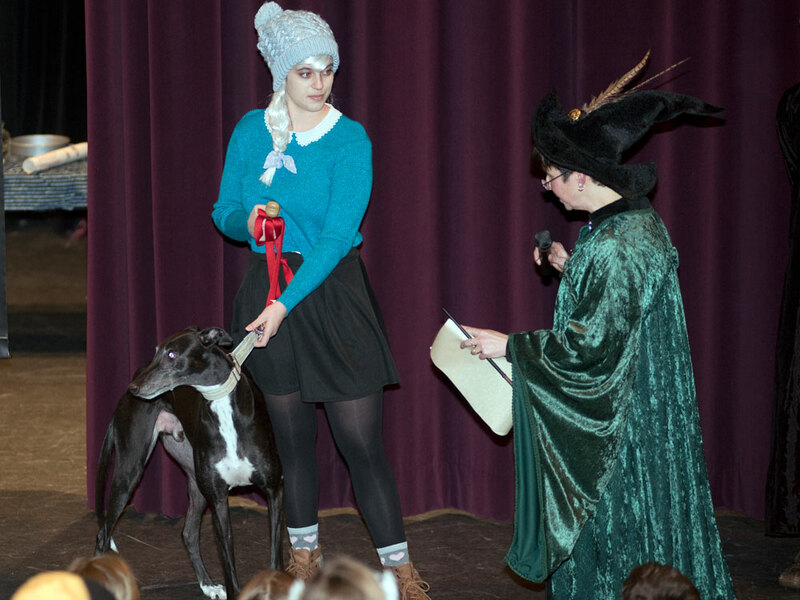 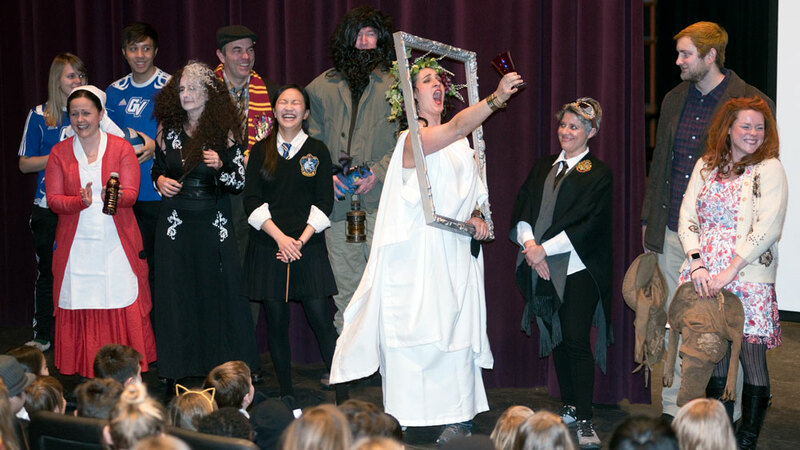 “One of the things we want to lift up is the love of a good book,” said Bridget Rieth, fifth-grade teacher at Breton Downs Elementary School who organized the event along with Chris Kenward and was dressed at Professor Minerva McGonagall in a black costume and pointed hat. 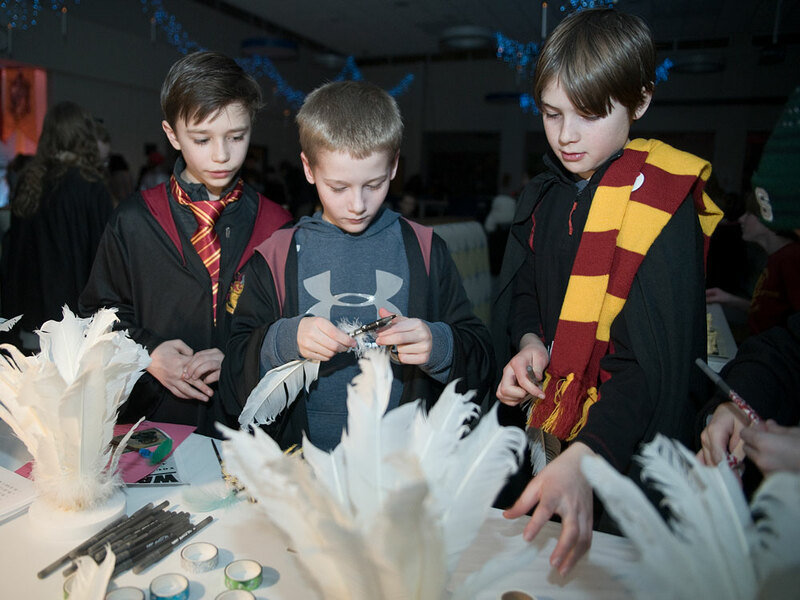 First published in 1997, Rowling’s seven Harry Potter novels have sold more than 500 million copies worldwide, making them the best-selling book series in history. 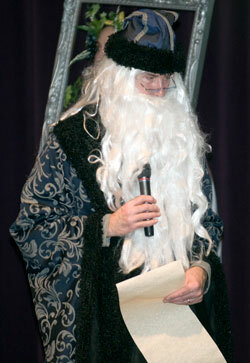 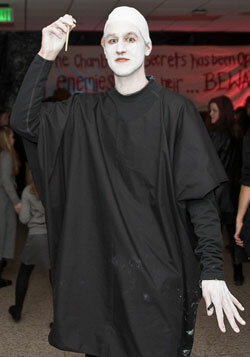 The series also has spawned movies, theme park attractions, fan-based websites and Halloween costumes. 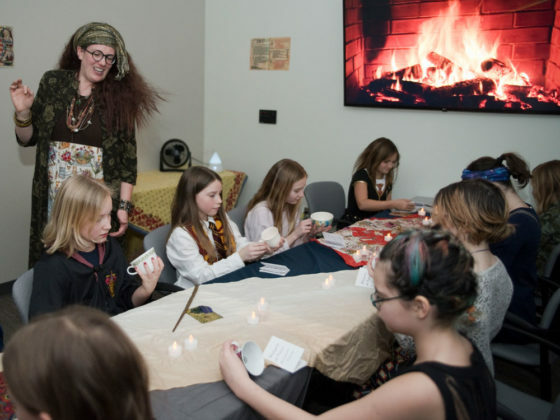 This year’s Yule Ball also spread to the streets of Gaslight Village, where several restaurants were decorated in Harry Potter themes and offered special menu items from Harry Potter novels.